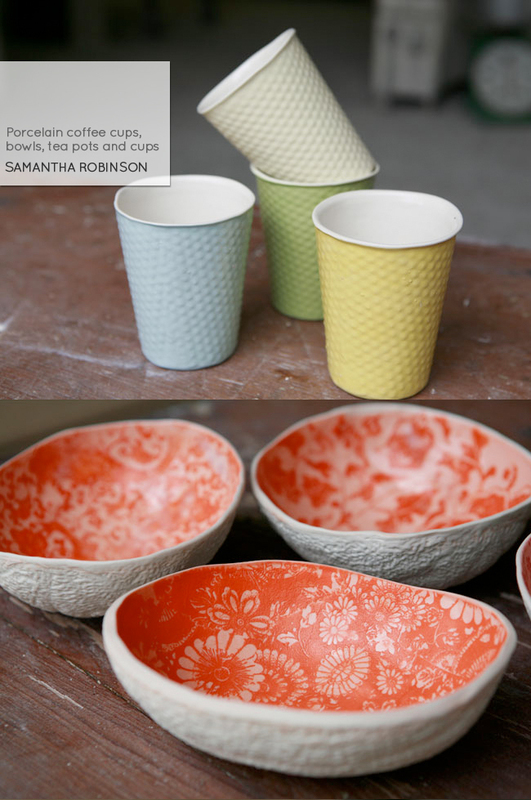 I wish I could own every single piece of Samantha Robinson's porcelain collection!! 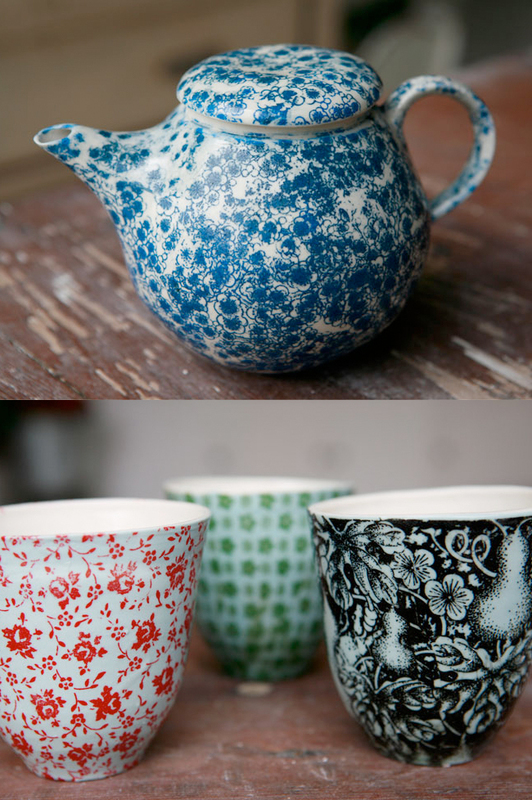 From these adorable muted textured coffee cups to her more vibrant tea cups, pots and bowls - which somehow remind me of a Hindu bride's henna painted hands. Absolutely! I am so with you.....they are gorgeous! Yeah, I covet her work. Wish I could afford it all! oh my god it looks fantastic. its really very pretty things that you show in you posting. thank you very much. Just fell head over heels in love!!!! what a great find! Gorgeous! Those coffee cups are amazing. I could look at them for quite a while. Thanks for sharing!